The 44th annual meeting of the Arkansas Political Science Association (ArkPSA) was held on the campus of Arkansas Tech University (ATU) and Lake Point Conference Center in Russellville, Arkansas on March 3-4, 2017. Dr. Kim Maslin of Hendrix College served as President (2016-2017). Dr. Carol Strong of the University of Arkansas-Monticello (UAM) served as Vice-President (2016-2017). Dr. Michael Rogers of Arkansas Tech University served as Secretary-Treasurer (2016-2017). Dr. Chris Housenick of ATU served as Program Chair for the 2017 annual meeting. Dr. Michael Malbin, Professor of Political Science at the University at Albany, State University of New York, gave the keynote address during the Friday evening dinner on March 3rd. Congressman Steve Womack, 3rd Congressional District of Arkansas, spoke during the Saturday noon luncheon on March 4th. The 43rd Annual Meeting of the Arkansas Political Science Association (ArkPSA) was held on the campus of the University of Arkansas at Monticello (UAM) on February 26-27, 2016. Dr. Steven Breezeel of Harding University served as President (2015-2016). Dr. Kim Maslin of Hendrix College served as Vice-President (2015-2016). Dr. Michael Rogers of Arkansas Tech University served as Secretary-Treasurer (2015-2016). Dr. Carol Strong of UAM served as Program Chair for the 2016 annual meeting. Mr. Christopher A. Masingill, Federal Co-Chairman of the Delta Regional Authority, gave the keynote speech during the Friday evening dinner on February 26th. Dr. John Kyle Day, Associate Professor of History at UAM, talked about his book, The Southern Manifesto: Massive Resistance and the Fight to Preserve Segregation, during the Saturday noon luncheon on February 27th. 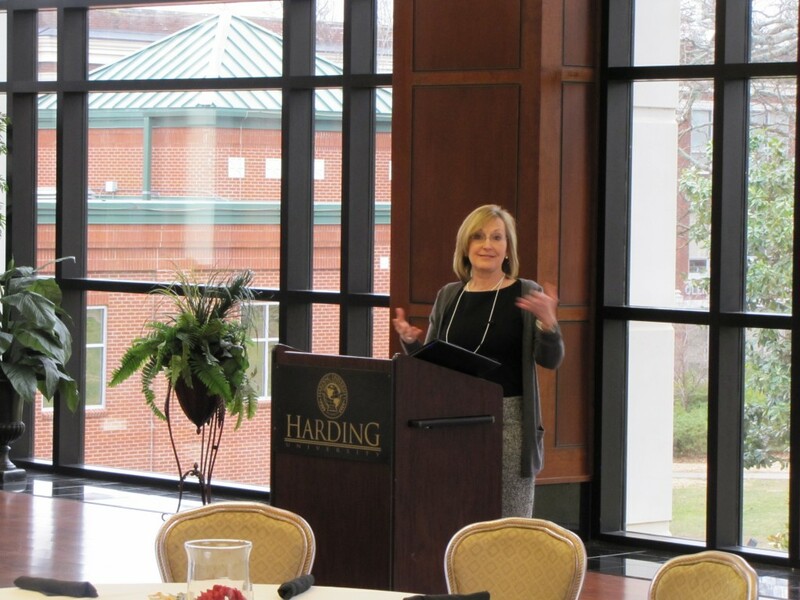 The 42nd Annual Meeting of the Arkansas Political Science Association (ArkPSA) was held on the campus of Hendrix College in Conway on February 27-28, 2015. Dr. Kevin Brennan of Ouachita Baptist University served as President (2014-2015). Dr. Steven Breezeel of Harding University served as Vice-President (2014-2015). Dr. Mark Mullenbach of the UCA Department of Political Science served as Secretary-Treasurer (2014-2015). Dr. Kim Maslin of Hendrix College served as Program Chair for the 2015 annual meeting. Dr. Randy LeBlanc of the University of Texas at Tyler gave the keynote address, “Speaking Peace to Enmity: Edward Said, Judith Butler, and the End of Criticism in the Discourse on Palestine/Israel,” during the Friday evening dinner, and Dr. Jay Barth of Hendrix College addressed the conference participants on the topic, “The Challenges and Opportunities of an Academic in Public Life,” during the Saturday luncheon. Several UCA Department of Political Science faculty members and students presented research or participated on panels during the annual meeting, including Autumn Reddell, “Education and Development in Sub-Saharan Africa”, Dr. Gizachew Tiruneh, moderator of panel on “NATO-Russian Relations”, Dr. Mark Mullenbach, “What Works in Africa? An Analysis of the Management of Intrastate Disputes, 1960-2012”, Dr. Mark Mullenbach, Willis Arnold, and Kayla Close, “Ballots and Observers: Elections, Election Monitoring, and Political Stability in Post-Colonial Africa, 1961-2010”, Dr. John Passe-Smith and Mary Sue Passe-Smith, “American Attitudes Toward Immigrants: The Dangers and Possibilities of Analyzing Social Media”, Dr. Clay Arnold, moderator of panel on “Erica Benner’s Machiavelli’s Prince”, and Dr. Mary Beth Sullivan, member of panel on “Erica Benner’s Machiavelli’s Prince”. 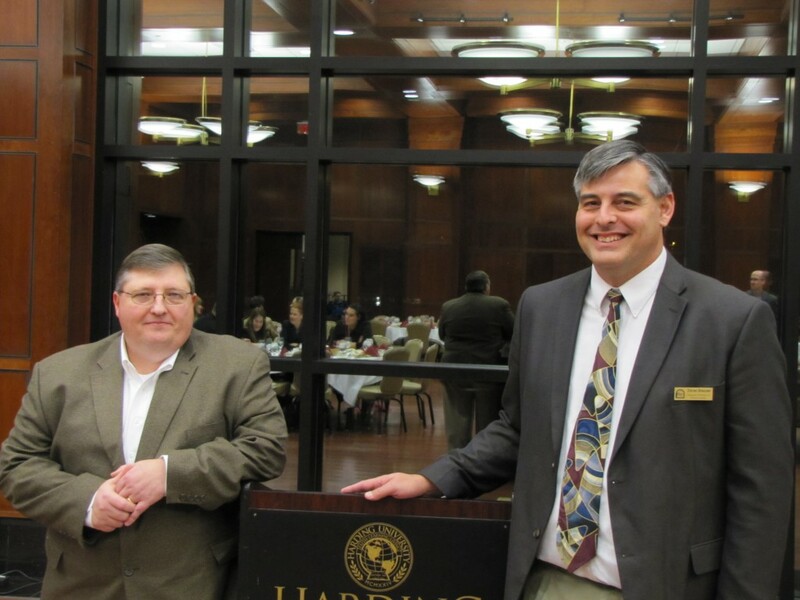 The 41st Annual Meeting of the Arkansas Political Science Association (ArkPSA) was held at the American Heritage Center at Harding University in Searcy, Arkansas on February 28-March 1, 2014. Dr. Kim Hoffman of the UCA Department of Political Science served as President (2013-2014). Dr. Kevin Brennan of Ouachita Baptist University served as Vice-President (2013-2014). Dr. Mark Mullenbach of the UCA Department of Political Science served as Secretary-Treasurer (2013-2014). Dr. Steven Breezeel of Harding University served as Program Chair for the 2014 annual meeting. Dr. Shawn Fisher, Professor of History at Harding University, gave the keynote address, “The Battle of Little Rock” (1957 Little Rock Desegregation Crisis), during the Friday evening dinner, and State Representative Ann Clemmer addressed the conference participants during the Saturday luncheon. Erika Bowsher’s (UA-Little Rock) research paper, “Twenty Years of International Justice: An Evaluation of the International Criminal Tribunal for the Former Yugoslavia,” was chosen as the Best Undergraduate Student Paper presented at the 2014 annual meeting. John C. Davis’ (University of Missouri) research paper, “The Natural State in a Time of Change: A Survey-Based Analysis of State Party Organizations in Arkansas, 1999-2013,” was chosen as the Best Graduate Student Paper presented at the 2014 annual meeting. Mike Yawn’s (Sam Houston State University) research paper, “Teaching Local: Civic Engagement & Local Government,” was chosen as the Best Faculty Paper presented at the 2014 annual meeting. 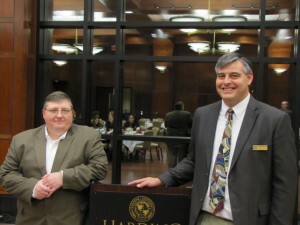 The 40th Annual Meeting of the Arkansas Political Science Association (ArkPSA) was held at Ouachita Baptist University in Arkadelphia on March 1-2, 2013. Dr. Joseph Giammo of the University of Arkansas at Little Rock served as President (2012-2013). Dr. Kim Hoffman of the UCA Department of Political Science served as Vice-President (2012-2013). Dr. Mark Mullenbach of the UCA Department of Political Science served as Secretary-Treasurer (2012-2013). Dr. Kevin Brennan of Ouachita Baptist University served as Program Chair for the 2013 annual meeting. Dr. Ronald Keith Gaddie, Professor of Political Science at the University of Oklahoma, was the guest speaker during the Friday evening dinner. 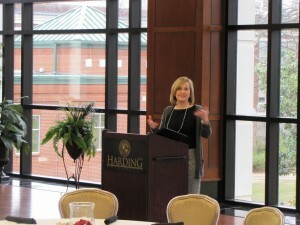 Kay C. Goss, President and CEO, World Disaster Management, was the guest speaker during the Saturday luncheon. Jacob Porter’s (Hendrix College) research paper, “Fiscal Decentralization and Economic Innovation in Spain’s Autonomous Communities,” was chosen as the Best Undergraduate Student Paper presented at the 2013 annual meeting. John C. Davis’ (University of Missouri) research paper, “A Study of U.S. Senators with Presidential Aspirations,” was chosen as the Best Graduate Student Paper presented at the 2013 annual meeting. The 39th annual meeting of the Arkansas Political Science Association (ArkPSA) was held at the University of Central Arkansas on February 24-25, 2012. Dr. Kim Hoffman, Associate Professor in the Department of Political Science, served as Program Chair for the 2012 annual meeting. Dr. Charles Bullock, the Richard B. Russell Professor in the Department of Political Science at the University of Georgia, was the guest speaker during the Friday evening dinner on February 24th. Honorable Preston Scroggin, Faulkner County Judge and 1989 graduate of the UCA Department of Political Science, spoke during the Saturday luncheon on February 25th. Dr. Rebecca Anne Glazier (University of Arkansas at Little Rock) and Dr. William J. Miller’s (Southeast Missouri State University) research paper, “Whose ‘Clash’? Comparing Anti-Americanism and Anti-Muslim Attitudes,” was chosen as the Best Faculty Paper presented at the 2012 annual meeting. Daniel Chand, Renee Deshommes, Kuatbay Bektemirov, and Leland McQueen’s (University of Arkansas at Fayetteville) research paper, “Local Enforcement of Federal Immigration Policies: An Analysis of the 287(g) and Secure Communities Programs in Arkansas,” was chosen as the Best Graduate Student Paper presented at the 2012 annual meeting. Kelly Reed’s (University of Arkansas at Monticello) research paper, “The Rise of the Opposition: A Theoretical Appraisal of the Recent Arab Spring,” was chosen as the Best Undergraduate Student Paper presented at the 2012 annual meeting.